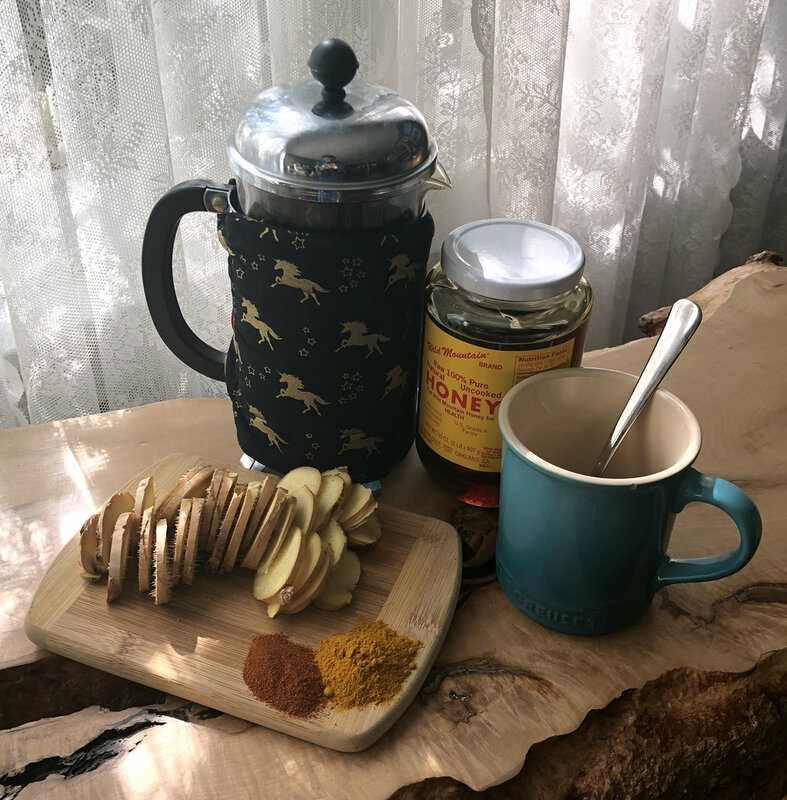 It's the New Moon in Aries, sign of cardinal Fire, first sign of the zodiac, blazing forth with big plans and bigger drive for making sure they are completed according to plan. The Tarot card bestowed with official Aries attribution is The Emperor, which gets a little sticky for me. The Emperor definitely has Aries written all over him. He's strong-willed, forceful, opinionated, and prone to being inflexible. These traits have made him unpopular in our current culture, even though we all need that energy within us to push through projects, manage our lives, and achieve goals. I'm so excited to bring these monthly downlaods back to you. Drawing Tarot cards for guidance can help us to open avenues of inquiry and direction in life we otherwise wouldn’t consider. Each month, I ask the cards what wisdom would be most helpful for each of the 12 signs of the zodiac. Based on my interpretations, I offer you practical guidance and a crystal buddy to help you along the way. Read both your Sun sign and your Ascendant for maximum insight! It’s the last episode of the first season of Hierophant Sessions and it couldn’t be more appropriate. It took me a miiiiiiiinute to get this last one out and there was a point in that interim where I decided to stop beating myself up about bit and to instead treat myself to a little kindness and understanding and let it happen when the timing was exactly right. And then my dear friend Mereki agreed to come on and talk to me about kindness and her Be Kind organization and I about fainted it was all so perfect. On this episode, you’ll hear Mereki and me discuss her Be Kind organization and experiences we’ve had with choosing (and not choosing) to lead with kindness, then you’ll get to listen in as I interpret the cards we draw for guidance personally and for the collective - that’s you! This week I used the Otherworlds Pagan Tarot Deck by Uusi Design Collective. I was recently gifted this gorgeous deck and am LOVING it. You can buy it here. See you again soon! Thanks for listening! This Friday we have a major Moon going on. Full Moon, full lunar eclipse, Moon in Aquarius, Sun in Leo. If you want more on the astrology, you can get that form wonderfully talented people here and here and here . What I want to talk to you about as a Tarot reader is The Tower. It has come up in almost every reading I’ve done over the past 10 days. Like lunar eclipses, The Tower signifies an ending or endings, and from what I am seeing we are all looking at some profound and potentially surprising (even traumatizing) and very liberating shifts. We can minimize the trauma and maximize the liberation by meeting the energy head on and calling in The Tower with intention. To celebrate personal freedom on this Independence Day, I spoke with educator Christine Petrich (who also happened to be one of my oldest and dearest friends) about her work teaching wellness and stress management to supermax prison inmates. It's an incredibly moving conversation around the justice system, personal power, decoupling the emotional from the physiological, and how these techniques can be related to magickal concepts and used in our daily lives. I hope it inspires you as much as it did me! This week I conduct a full, hour-long Tarot reading for content creator Cristina Black, the very woman who wrote the copy on THIS VERY WEBSITE! Hear how the cards pulled for career and for overcoming a personal challenge overlap and inform each other, learn how I read relationally within a spread and across a full session, and get VERY familiar with The Hermit, the King of Pentacles, and more figures from the major and minor Arcana. It's a special episode this week! I teamed up with songwriter Alex Greenwald for an experiment in metaphysical inspiration. In addition to his work in bands Phases, JJAMZ, and Phantom Planet, Alex has scored film and produced records - never before with guidance from the Tarot. Listen in as I interpret a Tarot reading for a song and find out how Alex resonated with the reading musically and personally. Plus, hear the song! This week, I help aspiring filmmaker Freya plot a path to migrate from the business to the creative side of the film industry, connect energetically with herself and her community as a creative, and work with the Tarot to fuel the completion of her screenplay. Find out how working with me helped Freya to expand her vision of herself and her work and move toward making her dreams into her reality! This week I sit down with Kara Hoppe to discuss motherhood and feminism through the lens of the Tarot. Kara is a psychotherapist who uses Tarot archetypes in her work and mother to a one and a half year old boy. Listen to find out which cards Kara sees as essential to new mothers, her favorite decks, and the universal guidance we can all take from her framework of motherhood. This week I help my dear friend Gina grow the strength and confidence needed to make her recent career change successful. Find out how working with me helped Gina discover surprising ways her personal and work lives intersect and how she takes control of the messages she receives around both through a Tarot reading, the assignment of homework, and two follow up calls. 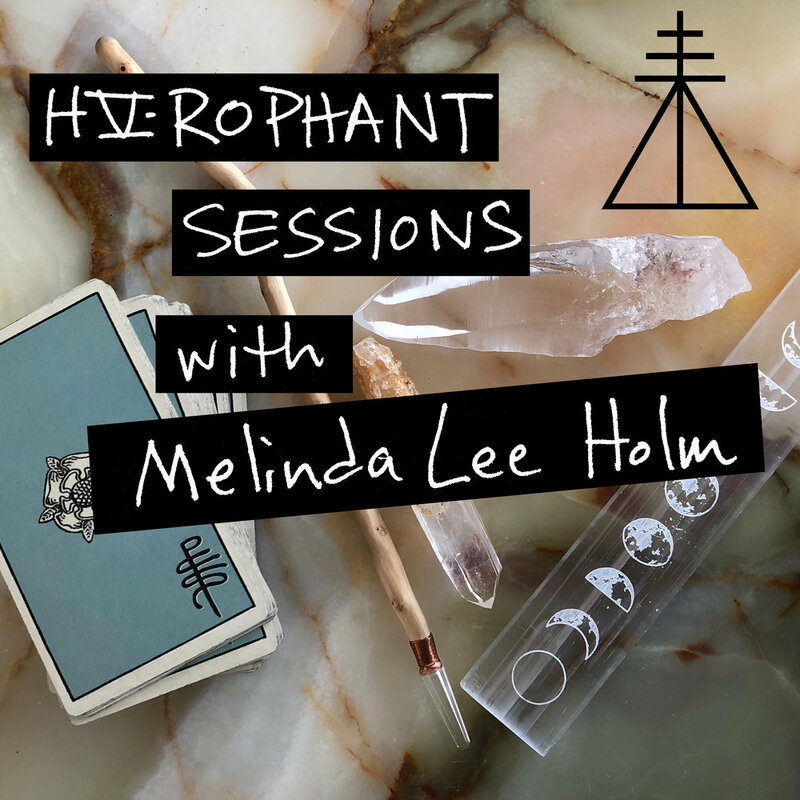 Tarot reader Melinda Lee Holm coaches Daphne through ways she can sort through conflicting areas of her work and creative lives to find the energetic and emotional space to grow and focus her vision as a creative person. Through a Tarot reading, the assignment of homework, and two follow up calls, find out how working with Melinda has helped Daphne fine tune her life to allow her true work to flourish. Tarot reader Melinda Lee Holm coaches Paizley through uncovering and working through the underlying causes and practical issues of her challenges with emotional intimacy. Through a Tarot reading, the assignment of homework, and two follow up calls, find out how working with Melinda has helped Paizley evolve her emotional self. It's a Full Moon in Scorpio tonight and I have been feeling the pull for days. Confusing combinations of thought and emotion are making me feel crazy. Feeling all-powerful and insignificant, emotionless and constantly on the verge of tears, creatively bursting and barren of fruitful ideas. It's exhasuting and oh so typical. Scorpio corresponds to the Death card in Tarot and when its astrological influence is present, we are wise to call on Death to help us release all the debris that the mystical scorpion digs up from the depths of our psyches. Reading Tarot is a nuanced art. Interpreting the messages of archetypes handed down to us through the ages requires a passing knowledge of alchemy, astrology, history, religion, and basic human nature. When I read, I channel, yes, but how I assess and convey the messages I receive is rooted in a store of information gathered over decades of study and practice. It's a complex matrix that I tap into and one that continues to grow and evolve with time and effort. I take great pride in it and am so proud to be able to use all I have gathered over the years in the service of helping my clients grow and evolve. So what's a beginning student to do? The world of Tarot can be daunting. There is so much to learn, so many resources, so much conflicting information. The little booklet that comes with your deck gives you only so much, but any book that lays out individual card meanings in more detail gives you only so much more. I'm going to tell you something that can absolutely revolutionize the way you look at and experience the Tarot. My head and heart are swirling as they always do right before a Full Moon. I never fail to wonder what is wrong with me when I feel like this. The energy gets so thick and intense that it throws me off my logic game completely and I have to rediscover - again and again - that this is what the Full Moon feels like in this body. It's confusing and humbling and surely exactly what I need to show me what my focus is for this lunar cycle. This time, I am thinking about temples. Not surprising, given this Full Moon is in Virgo, sign of the Vestal Virgin, the temple keepers, those glorious souls who dedicated themselves to serving the Priestess and her temple. I have a deviated septum. Until I found this out in 2013, I thought I had terrible allergies and/or a terrible immune system. It turns out that I just have a skull that conspires to restrict drainage, meaning that any - ANY - amount of sinus irritation leads to insane swelling, completely blocked nasal passages, horrible headaches, and eventually sinus infections. Since I avoid taking antibiotics whenever possible (I want them to work when I really need them), I sought out other means of relieving my recurrent acute sinus pressure without the surgery recommended by doctors. And I found something. And now I want to share that with you!